It’s not just projection mapping on buildings as a cool gimmick any more. Live visuals increasingly means adapting to spaces, using multiple outputs and multiple projectors, tailoring your visuals to irregular surfaces and integrating them with environments. It’s projection, but it’s also dealing with LED walls. 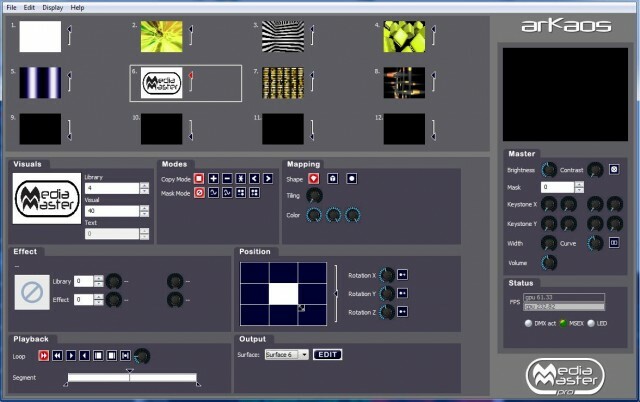 And flexible output isn’t just something expected of high-end shows and media servers: it’s something that increasingly is becoming something the lowly, laptop-in-a-backpack VJ does, too. It’s making your visual imagination look as good as possible when others see it. You’ve seen this kind of mapping convenience in software before, of course. The popular MadMapper tool, for one, offers similar features for taking live visual output and mapping it to three-dimensional surfaces. MadMapper works with any Syphon-compatible Mac application, too, whereas – for now, at least – ArKaos is only talking integration with their software. ArKaos is also promising that by the end of the year, this functionality will be integrated directly with their software – not requiring, as MadMapper does, running a separate app. I also like ArKaos’ approach to output and masking: it’s a whole lot easier to see which surface is which and on which output, so multiple projectors (or LED walls) become convenient. Once integrated in something like GrandVJ, that could be even better. Designed for people on the run who need to setup mapping projects in very short times, the application can deform and project individual layers on the shapes of a mapped stage, allowing to easily make visuals flow around complex shapes in just a few clicks. 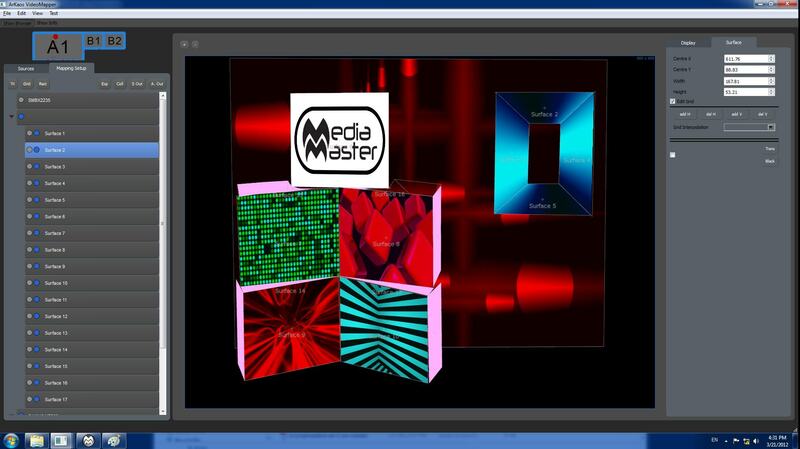 Right now, this is all an extension to MediaMaster, but if you can’t afford that high-end media server solution, it’s coming to GrandVJ, too. we release MediaMaster 3.0 final that can load mapping files and does not need the Video Mapper once the mapping is created. 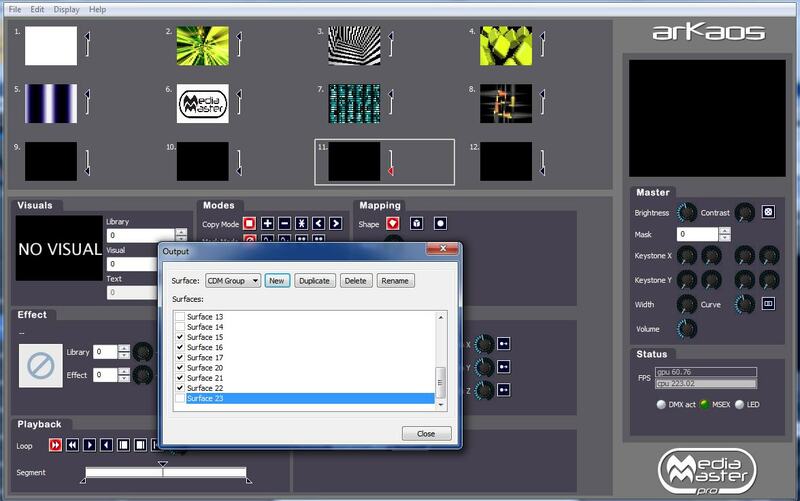 we release GrandVJ 2.0 final that can load mapping files and does not need the Video Mapper once the mapping is created. Most of all, I’m glad to see the mapping field heat up. Competition can only be a good thing. I love the power of Syphon to route visual textures between apps, but having these features designer directly for a piece of software is also promising. Let us know if you have any questions for ArKaos. 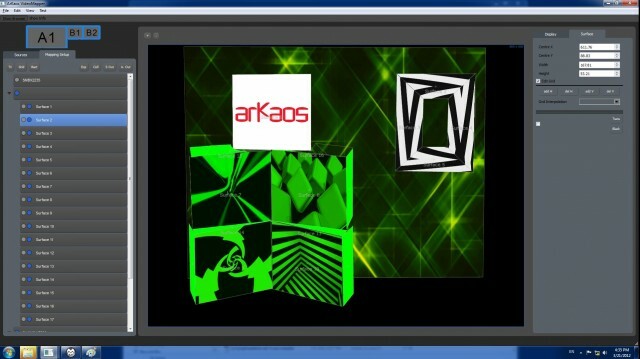 All images courtesy ArKaos, and since they naturally represent in-progress software, may not look exactly like the final product.